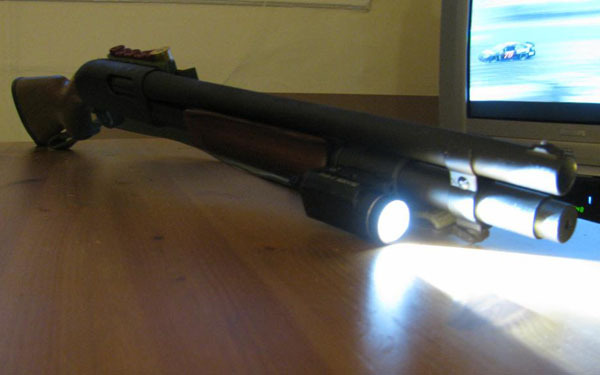 One of the most common upgrades you can make to your Remington 870 shotgun is adding a flashlight to it. Light is an essential resource to have when you are trying to shoot in areas where you cannot see very well. Perhaps you are outside hunting at dusk or at nighttime and you want to be able to see in front of you better. A flashlight mounted onto your Remington 870 will give you the necessary light source you need to see what’s nearby. If you use your Remington 870 for home defense then the flashlight mount will come in handy during day or night. Even if there’s daylight outside, there could be a target that comes indoors or in an area where it is shaded from the sun. It is better to be safe than sorry so it is always a good idea to equip your shotgun with a flashlight mount. It is lightweight and doesn’t take up much space on your weapon. Flashlight mounts basically clamp to the side of your shotgun’s barrel with a Picatinny rail. Some of the very sophisticated flashlight mounts, such as the Streamlight TLR-2 CR, contain LED lighting and laser sight technology all in one. 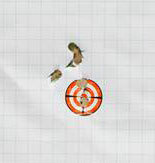 That way you can identify your target more clearly and get a precise aim at the same time. The red dot from the laser is so small with the Streamlight that your target won’t even notice it. Of course, if it is a human target then they will realize a flashlight is being shined on them but you get the idea. As for prices, it all depends on what features come with the flashlight. If it doesn’t have a laser and is just the light and mount then it will cost roughly $125. If it has a laser then it will cost anywhere in the $250 range. Choose whatever suits your needs and budget. 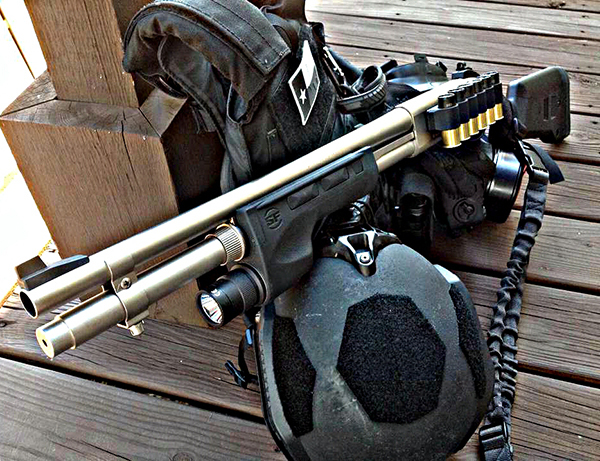 Another popular flashlight mount for the Remington 870 is the Surefire Forend Light. This is one of the more expensive flashlights for the Remington 870, but it is also one of the best and most reliable on the market. It is a compact light that integrated into the forend of your shotgun rather than to the side of the shotgun. Some shooters like their light coming from the bottom of their shotgun because it makes the shining light align with the front sight that helps you aim. The Surefire Forend Light retails for roughly $225, but some are more depending on the amount of accessories that come with it. Either way, adding any kind of light source to your Remington 870 will be beneficial to you in the long run. I’ll never crap on Surefire. They are the standard for a very clear reason, but I swapped a TLR1 on my 870 with a magpul forend and think it’s ideal for a home defense setup. The Surefire is bulky, heavy, and really expensive. I’d rather spend the $$ on a SF Scout or X series light.